‘This Adventure Ends’ was the 2016 contemporary young adult novel by Emma Mills. This was a really interesting book … one of those books that while you’re reading you really want to know what happens next, but at the end you can’t really recall what the actual plot was, only that you enjoyed it while it lasted. Ostensibly it’s about a young girl called Sloane whose father is a Nicholas Sparks-esque author of tragi-romance and currently going through a writing slump. To help spark her father’s creativity again, Sloane, her mother, and little sister all move with him from New York to Florida in the hopes it will get the creative juices flowing. 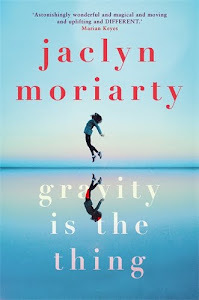 The move is really neither here nor there for Sloane, who has never formed truly meaningful attachments to anyone outside her immediate family … but then she finds herself the reluctant attendant of a house party with her new classmates, and sticking up for one called Gabe when a bully boy jock gets in his face. 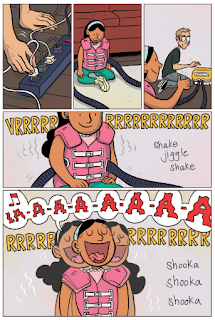 From there, Sloane becomes the new pet friendship project of Gabe’s twin Vera (a social media sensation) and their friends Aubrey, Remy and Frank. When Sloane discovers that the twins’ artist mother recently passed away and that their new (pregnant) stepmother accidentally sold Gabe’s favourite painting of hers to a local art gallery, Sloane sets off on a mission to retrieve it. This is not the book to read if contemporary fiction bores you to tears. But if you love the in’s and out’s of daily life and putting your emotions and typical teen dramas under the microscope, you’ll love this. And while I did indeed enjoy the unfolding, I can’t help but feel this book lacked some necessary oomph. A lot of it reminded me of ‘How to Say Goodbye in Robot’ by Natalie Standiford, a lot of which was this really lovely meandering through quirky and off-kilter teen lives, but that eventually ratcheted up to a reveal and heavy hearted finale. In that sense too, ‘This Adventure Ends’ is like the days before in John Green’s ‘Looking for Alaska’, where it starts off unfolding in this very charming but lackadaisical chronological order until the middle sparks an entirely new trajectory … likewise ‘The Perks Of Being A Wallflower’ by Stephen Chbosky which is also up there for being very astute contemporary teen fiction, until the denouement starts picking at different wounds. And all these books – contemporary teen fiction – are throwbacks to ‘The Catcher in the Rye’ by J.D. 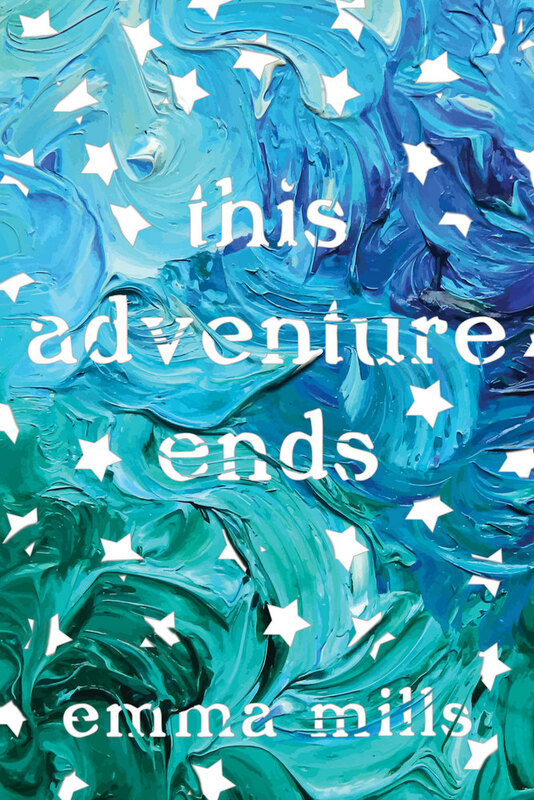 Salinger, which to a certain point is also just a meandering stream of consciousness and encounters until it reaches a zenith of purpose and underlining meaning … and I think that’s what ‘This Adventure Ends’ was missing. A pack-a-punch denouement. True meaning. There are even a few random threads of story established that go nowhere – like Sloane getting a job at a deli working with Gabe. There are pages establishing this, and then we never see her or Gabe at work again. Likewise, Vera’s social-media instagram fame is set-up as a somewhat crucial aspect of her character, but then it falls away. And I think these are two examples of a symptom of contemporary fiction that lacks real direction or message. FanFiction also plays a role in this – as Sloane’s father gets hooked on a teen werewolf TV show and the fic that others writer for it. But – again – this doesn’t really go anywhere truly meaningful to entirely warrant its mention. 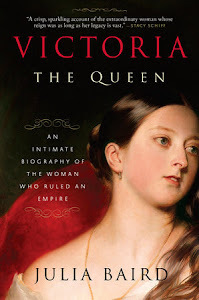 … But I do look forward to reading a work of hers that has a real message. Something to say, when she’s so very capable of saying it so well. What happens when six pampered Westerners on a spiritual retreat in Bali end up fighting for their lives? Six strangers from across the world meet on the tropical island of Bali to attend a course designed to help them face their fears. Their backgrounds are as diverse as their fears - which range from flying, public speaking and heights, through to intimacy, failure and death. 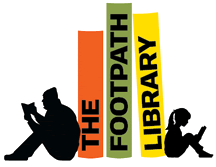 Friendships and even romance blossom as the participants are put through a series of challenges which are unusual, confronting and sometimes hilarious. A week of fun in the sun suddenly turns into something far more serious, however, when the unthinkable happens - a tragic disaster that puts the group in deadly danger, testing the individual courage of every member. ‘Fearless’ is a new fiction novel from Australian author, Fiona Higgins. I was really excited to read this novel, as I’d thoroughly enjoyed Higgins’ ‘Wife on the Run’ back in 2014, and everything about ‘Fearless’ was broadcasting being a “great summer read” to me. But what really pushed me into reading this one was my catching the 2012 movie ‘The Impossible’ on TV one night. It’s a great movie based on a true story, about a British family on holiday in Thailand, who are separated by the destruction and chaotic aftermath of the 2004 Indian Ocean tsunami. The blurb of ‘Fearless’ alludes to ‘an unspeakable act’ happening in Bali, that throws six strangers’ lives into mayhem – and of course that’s alluding to an event similar to the 2002 Bali Bombings – but ‘The Impossible’ reminded me of the power in such stories where an unfathomable disaster happens in the middle of “paradise” … so I delved into ‘Fearless’, and hated it. Absolutely hated it. 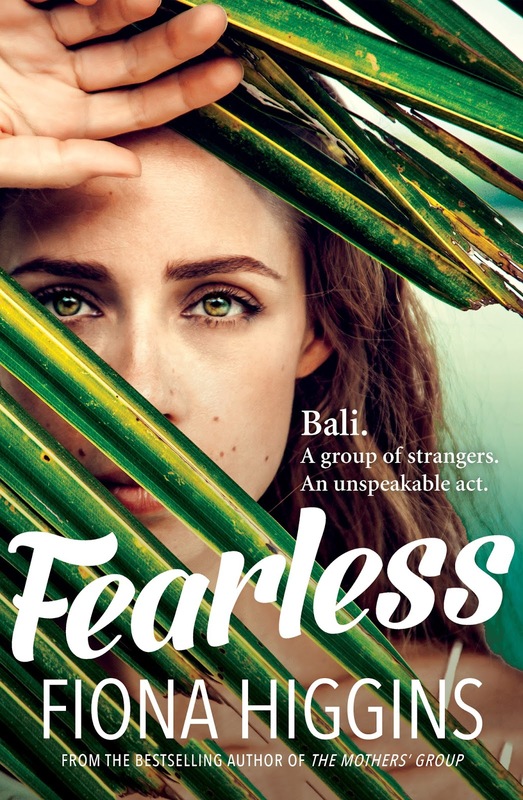 The premise of ‘Fearless’ is these six strangers from all corners of the globe come to Bali to attend a Fearless retreat where they intend to combat everything from a snake phobia, to fear of heights and flying, to general dissatisfaction with life. We get a chapter that follows each of the six strangers, to understand the deeper meanings behind their wish to combat fear. And straight away from meeting these characters, the story started to fall down for me because there’s so much cliché … there’s Annie, an older mid-Westerner who is (of course) an outspoken devout Christian and overweight American. Remy is a Frenchman who falls for Australian Janelle while she’s wearing a rash-vest and zinc on her nose (because of course he does – Frenchmen are so very romantic). Henry is a paunchy, British bird-watcher and quintessential geek (because he’s British?). Cara is a broken mother … and even her, who has one of the more compelling and believable backstories, I wish there’d be a decision to make a subversive gender-flip and have her be a father grieving the loss of his child, just so that not every character was so darn predictable. And then there’s Lorenzo – an Italian photographer who has experienced some Bill Henson-esque backlash in his home country, amid accusations that his artistic photographs of ingénue girls are inappropriate … his introspective story takes a bizarrely sharp turn towards the end, and I couldn’t help but feel he got lugged with this exploration on the cliché that Italian men are sleazy and pervy or something? ‘Of course,’ said Remy, impressed by how much Janelle seemed to care. About the orangutans of Borneo, the world’s rainforests, the gamelan orchestras of Bali, teenagers with eating disorders and, naturally, her own family. He considered what he cared about. The last time he’d cried was after the defeat of Paris Saint-Germain to archrivals Montpellier in round 32 of the Ligue 1 football season. Janelle’s compassion is more than refreshing, he thought. It’s intoxicating. But the book was also off-putting to me for the presentation of Bali, as seen through the eyes of these Westerners … it reminded me of a Kirkus book review I read once, of Heidi R. Kling’s YA book ‘Sea’ in which the reviewer accused the story of being; “Disaster tourism masquerading as romance…” and the last line of the review was also apt for Higgins’ ‘Fearless’; “Well-meaning, but ultimately about slumming in disaster zones for a summer’s recuperative fun.” Because Higgins does present Bali as a “disaster zone”, essentially. Everything from Annie’s observations of their abuse of street dogs, to Remy watching a woman defecate in the street and all six hearing locals bad-mouth the Javanese … none of this sat well with me. 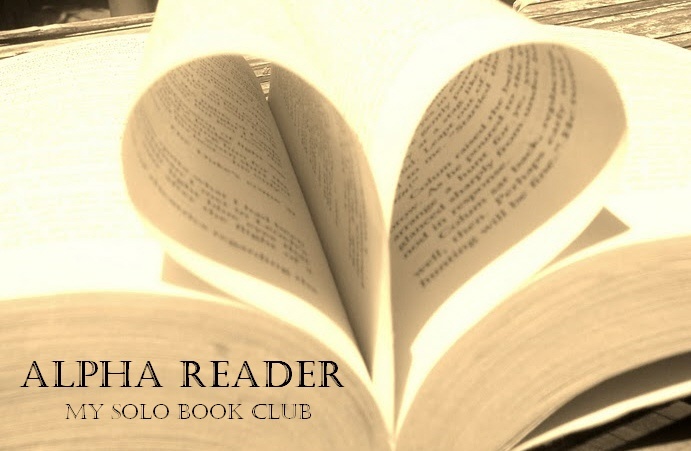 So, nothing in this book was really working for me – why did I keep reading? Well, I wanted to get to the “unspeakable act” tagline on the cover … I thought everything at the Fearless retreat and getting to know these strangers was boring or infuriating, but maybe they’d rise to the occasion in the midst of a disaster? But this plot-turn doesn’t happen until around page 220 (of a 391-page book) and it did feel utterly disjointed from the rest of the story … it felt cheap, actually – as did the whole book for me, unfortunately and ultimately. ‘Ghosts’ is the 2016 middle grade graphic novel from Eisner Award-winning creator, Raina Telgemeier. 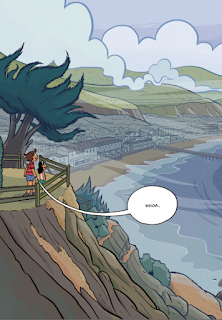 The story follows Catrina, who along with her family moves to the fictional Northern California town of Bahía de la Luna (‘Moon Bay’) for the sake of her little sister Maya, who has cystic fibrosis and whose lungs will benefit from the seaside location and year-round fog. Because Bahía de la Luna is famous for being a ghostly haven – a particular township in America where ghosts can be easily found, thanks to the perfect climate conditions that allows them to be carried on the wind, and take nourishment from the natural earth. Catrina and Maya are in town on their first day, on a mini-exploration trek when they come across local boy (and ghost-tour operator) Carlos, who fuels Maya’s interests in their new ghostly neighbours. The culmination of the town’s ghostly affection and the story itself, is Día de Muertos – the ‘Day of the Dead’ Mexican holiday. It’s a multi-day holiday that focuses on gatherings of family and friends to pray for and remember friends and family members who have died, and help support their spiritual journey – but in Bahía de la Luna, it also means physically meeting with ghosts and dearly departed loved ones, for a literal celebration. 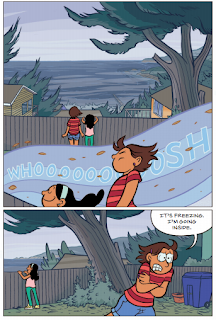 I’ll admit that I thought the ghostly addition to this story would be heavy-handed, for how it sits alongside Catrina grappling with her sister’s Cystic Fibrosis, and her coming to understand that a move to Bahía is meant to improve Maya’s quality of life, but won’t cure her of the degenerative disease. 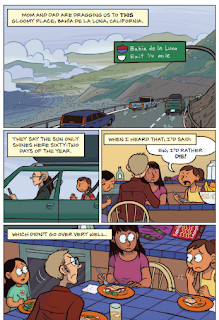 But this is Telgemeier after all; one of the best writers for young, middle-grade audiences and while the lessons and connections are there to be made, it’s actually quite subtle and lovely what she’s imparting; about acceptance and how multi-layered grief can be. 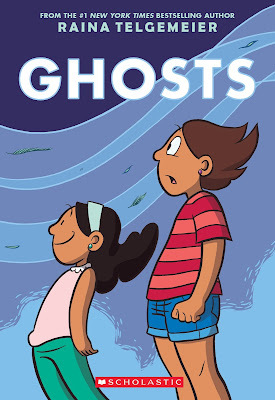 ‘Ghosts’ was a smart and delightful read, and while the end felt just a little bit too convenient and rushed, overall I thought there was a lot of good to be unpacked and praised here, making it a truly heartfelt MG read – particularly for the unique angle it takes in exploring grief and loss for young people, and through the lens of such a beautiful cultural celebration as Día de Muertos. Outstanding.